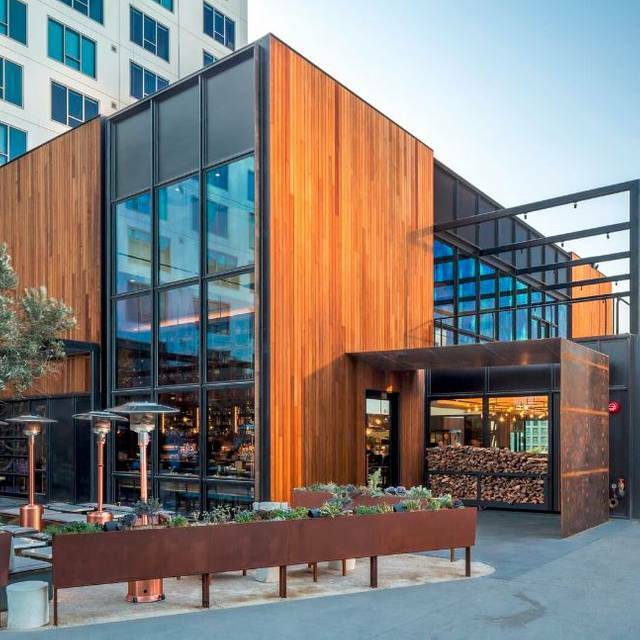 Please contact the restaurant for Special Events inquiries at events@otiumla.com. Please contact the restaurant for Catering inquiries at events@otiumla.com. 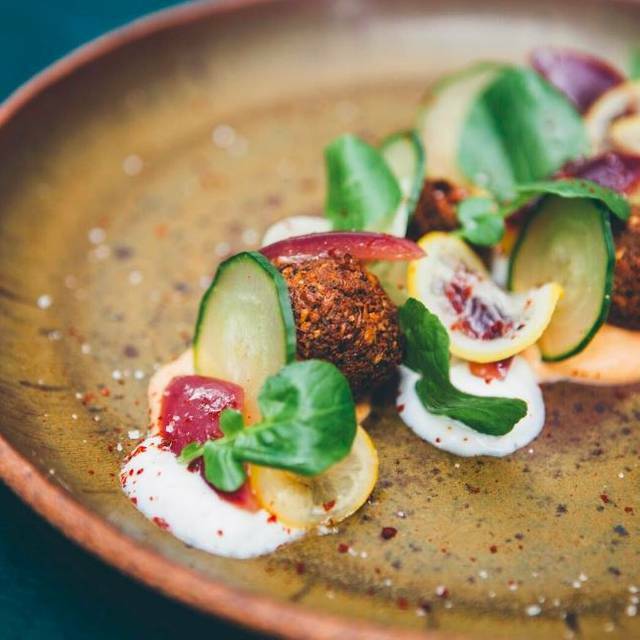 Otium is a contemporary restaurant that draws from the rich culinary heritage of Timothy Hollingsworth. It is designed to be a social restaurant with a dramatic open kitchen merging indoor and outdoor spaces. 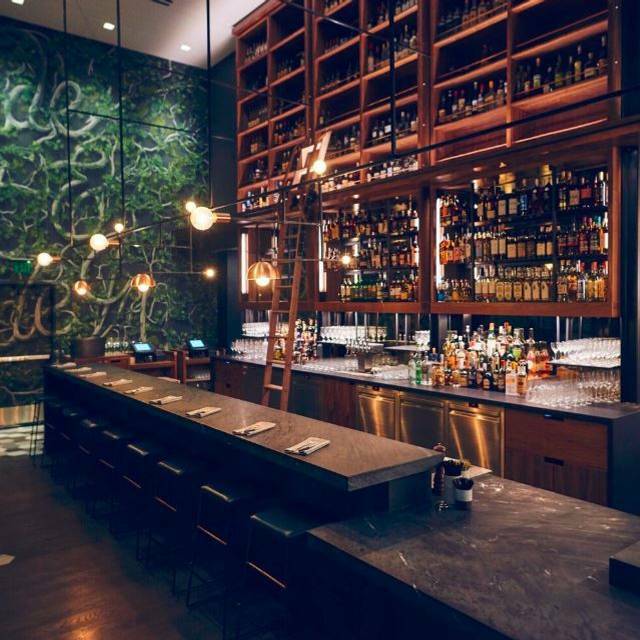 The restaurant’s name, Otium, has its roots in Latin. 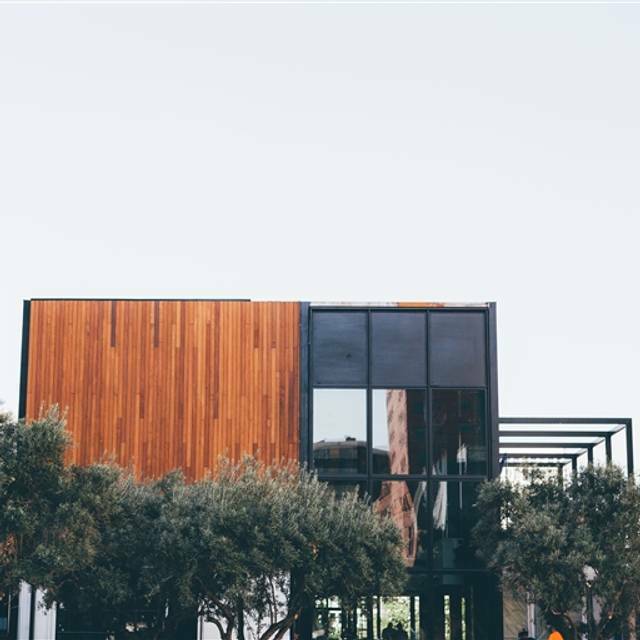 A word that is meant to emphasize a place where time can be spent on leisurely social activities, both eating and drinking; adjacent to one of Los Angeles" most important cultural streets—Grand Avenue—and next to its newest, most vibrant addition, the contemporary art museum, The Broad. 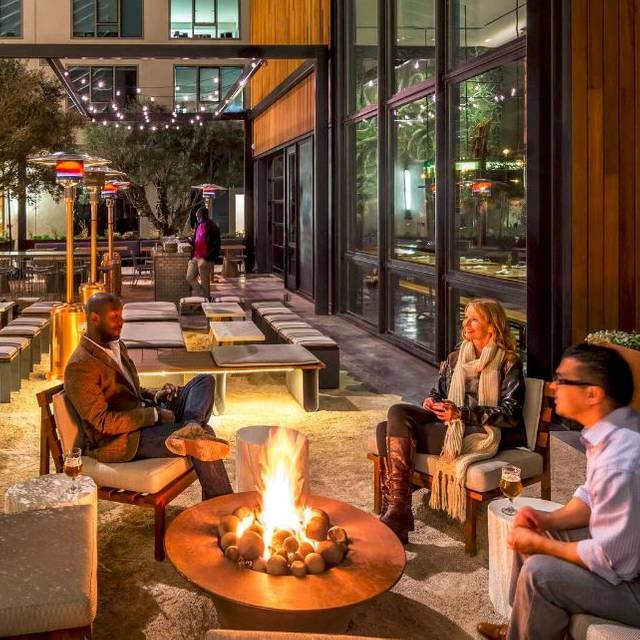 The restaurant draws inspiration from the 100-year-old olive trees planted in Broad Plaza by utilizing rustic cooking with live fire and sustainable ingredients grown in the garden of the restaurant’s mezzanine. Otium strips away the rigid formalities of dining while focusing on the quality of food, warm service, and relaxed casual ambience. New menu is great, the gnocchi was the highlight. Great service, great ambience, great food. Outstanding all around. Very comfortable environment, friendly helpful staff. Excellent service. Food is amazing. The artisanal cocktails are a delight. Our experience at otium was rather disappointing. We waited for over 15 minutes at our table before a server (not our server) noticed that no one greeted us nor took our order. He was lovely and said he would help us. However, after that we continued to wait a very long time for each dish. The longest wait without any food on our table was over 20 minutes. At this time the lovely server we had was also nowhere in sight so we asked someone else to check our food. He never came back to us. Im not sure why the service was bad since it was a Wednesday evening and the restaurant was not full. We wanted to like the food but all dishes were way too salty and portions were tiny. The Spanish pasta dish was only appetizer sized, priced at $28, and was too salty. The Arugula salad was extremely salty. The octopus was also very salty. We thought everything was too salty except the New York strips which were tender and cooked right. The famous black cod featured on the show Final Table was fairly good but really not memorable. Overall i think the service, food quality and value were all lacking. We liked the atmosphere but we probably won’t return. Everything was great. I took a star off because the server seemed annoyed that we didn't spend more than $130. After I signed and left a 20% tip, he whisked by and grabbed the check folder without even glancing at us...no "thank you" or anything. He didn't even look our way. Odd, because he was quite nice at first. Maybe he was busy, but it was a Tuesday night, and how much time does a simple Thank You take? The food is fantastic. Their biggest problems seem to be hostesses who tend to be snobbish, unwelcoming and dismissive of guests. The serving process sometimes seems chaotic. This is a place for excellent food but it not a relaxing, welcoming or serene dining experience. Loved it! 2nd visit was even better than the 1st. This restaurant does not disappoint! This is one of my favorite Downtown LA restaurants, situated in the shadow of the Broad Museum. The food is uniformly great, as is the service and the ambiance. When I have a choice of eateries to go to before a concert at Disney Hall or a program at Dorothy Chandler, the Mark Taper, or the Ahmanson, this is always my first choice, either with one friend or eight friends. I especially like sharing food family style. No negatives at all ... ever. Consistently quality food and service. Making the reservation was easy, and the restaurant also easily accommodated one additional person and a slight change in time of reservation. We had a ticket to the Broad Museum. 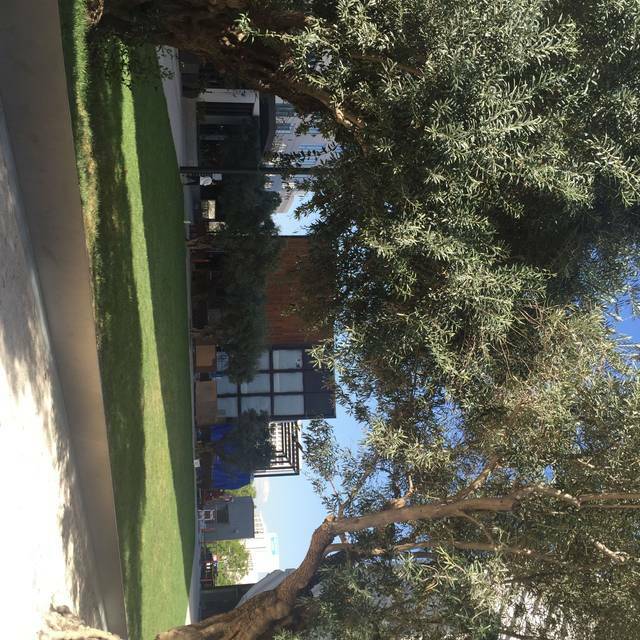 So we decided to eat at Otium, which is right next to the museum. The atmosphere was amazing. Loved everything about it. The service was fine too: very friendly and attentive. However, the food wasn’t amazing considering their price. I do feel that they use great ingredients but the pizza (?) was a but dry. The food was had a simple look with complex flavors. The cocktails were truly memorable. Would highly recommend. Definitely coming back for dinner next time. I spent quite a lot of money for a pre-fixe dinner for 13 before our show. The kitchen didn’t time it correctly and we had to run out without even eating our main courses. The food is served in small plate style. The potatoes are crispy on the outside and absolutely amazing! The rigatoni is also homemade and very special. The cocktail and wine list (even by the glass) also offers something for every taste. Phenomenal! Birthday lunch, service and food was amazing!!! all around very nice experience. food was delicious! Beautiful setting, the building itself and the interior are stunning. Delicious food and cocktails. 'Salt's cure' especially so. outstanding food and service. More than a bit noisy for us older (80's) individuals. Millenial women very loud. Maybe placing the older people in a quiet corner would be a good strategy. 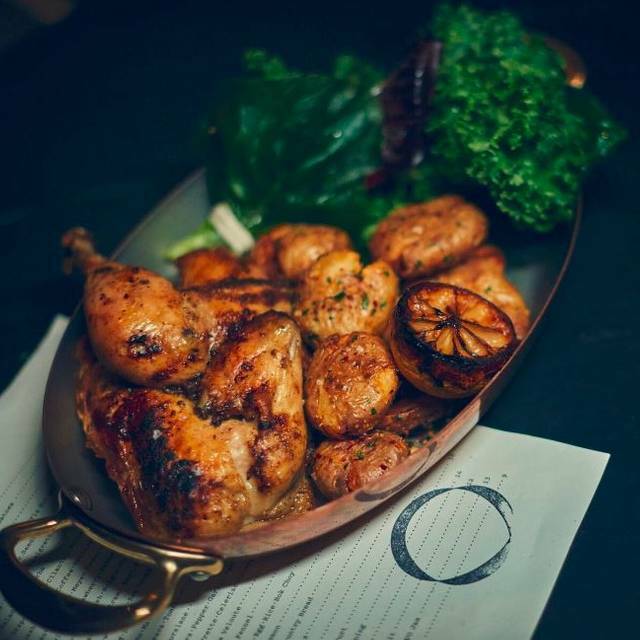 Otium truly understands the high quality and expert knowledge of service required to back their stellar menu. We were graciously guided by our server TJ on how much food to expect in each portion of the menu as well as helpful hints on ordering just the right amount for two. The Provencal Asparagus was our first course, followed by the Duck Confit pot pie, then after a brief intermission, we were presented the Gnocchi, Chicken and potato with shishito peppers, and finally creamsicle pavlova. There was very little left uneaten in each plate. The highlights were the Duck pot pie, followed closely by the Gnocchi, with the perfect finish being the pavlova. Each dish was magnificent, every ingredient crucial, and the preparation flawless. The Otium cocktail is not to be missed either. Food was good but plates were really small and really expensive. The octopus pasta in particular was tasting great but you would have to look thoroughly to find the very little pieces of octopus in there. Food is exceptional.We eat out a lot and consider this restaurant one of the best. This place is always a home run. One of my favorite brunch spots in LA. Wonderful spot for all occassions, food was so amazing like nothing I had tried before. Prices are decent for a high end restaurant. Beautiful reataurant. We had Aaron as a server and he was awesome. He guided us regarding the menu and we had a good combination of dishes. The two best were the shrimp and the short ribs ( the potatoes that the shirt rub was served on were to die for). Also really liked the funnel cake dessert. Great brunch! Food was delicious and the service excellent. We had a wonderful dining experience. 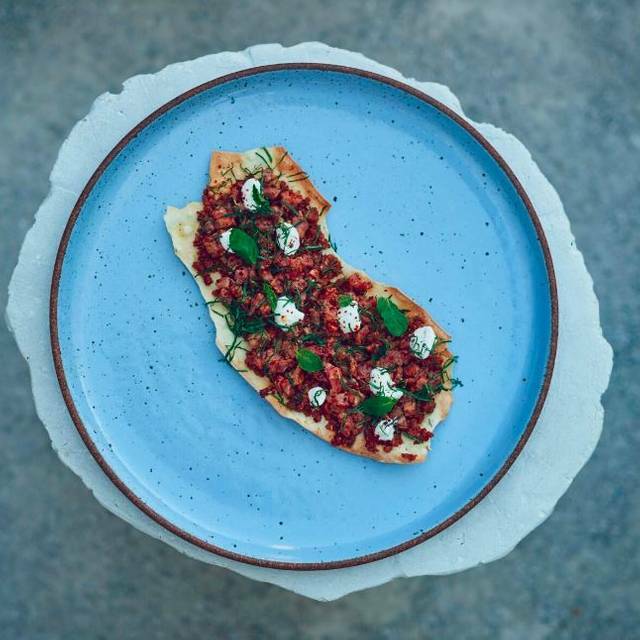 Service, food and ambience are all on point at Otium. We sat at the chef’s table and had a great dining experience, perfect after our visit to the Broad. Highly recommended. Food was excellent but it took one 45 minutes to get our order taken. Fine, but for the price should be great. Amazing! The Chef even came to our table! 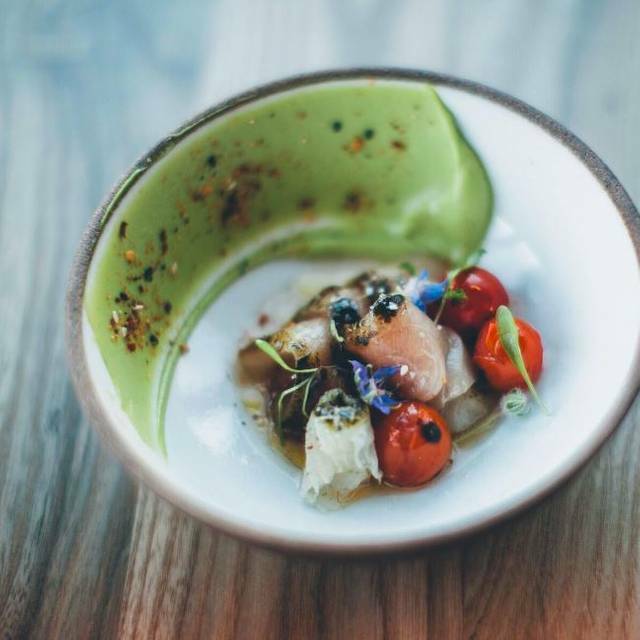 Otium is a heavy hitter in a glitzy part of downtown. Go during magic hour, see the the Disney Concert Hall and then be delighted by the ambiance + food at Otium. My eyes could not stop wandering at the design. Service was friendly + warm. Food was great! As simple as it sounds, I couldn't get enough of their housemade naan. I wanted more to eat with its pairings (truffle butter, liver mousse + caviar). The whole branzino was a showstopper although I am now curious about the tomahawk. There will have to be a next time!
! I love this place and will always come back! We had a great meal at Otium. We were 30 minutes late for our reservation and the staff were very accommodating and friendly. The ambiance is casual and it feels like everyone is having a good time. We had the cauliflower, black cod, grilled fish special, and chicken. We also had one of the mezcal cocktails. Everything was delicious. Would definitely return. The servicie is thoughtful, professional, personal, and devoid of "attitude"
The food is always terrific, and subject to whatever dietary demands are applicable. It's always a pleasure to visit. Everything we had was delicious. The setting was nice, but the room got a bit loud. I loved all the natural light. Will definitely be returning.